UPDATE: Concordia’s education department is moving to the Faubourg Building. Department Chair Richard Schmid told The Link on March 14 that the department had voted “by a clear majority” to accept the university’s proposed move to the fifth and sixth floors of the Faubourg Sainte-Catherine shopping complex. In order to make room for the upcoming expansion of the Webster Library, Concordia’s education department will soon have to leave the LB Building—and some members of the department are concerned about the space proposed for their relocation. The library intends to use the J.W. McConnell (or LB) Building’s fifth floor, which houses the university’s education department, for office space for its technical staff and additional study space for students, according to interim university librarian Guylaine Beaudry, the chief administrator for Concordia’s two libraries. When the university opened the Webster Library in 1992, it had only 16,000 students. Since then, that number has ballooned to roughly 46,000. The Webster Library is now open 24 hours a day, 7 days a week, and receives up to 12,000 visits per day and 1.8 million visits per year—numbers that continue to rise. According to Beaudry, the lack of quality study space in the library is a primary concern for students. She said the team planning the renovations has taken this issue to heart and that the renovations would more than double the number of study seats, from 1,500 to 3,400. But for the library expansion to be possible, the university is proposing moving the education department—one of Concordia’s largest—to the fifth and sixth floors of the Faubourg Building. The university already owns those two top floors of the building, as well as the adjoining Faubourg tower, and is currently in the process of purchasing the basement, which it has leased for years. The impending move to the Faubourg Sainte-Catherine shopping complex was discussed at the education department’s council meeting on Wednesday, where Associate Vice-President of Facilities Management Peter Bolla and architect Robert Magne revealed the plan for the fifth and sixth floors. 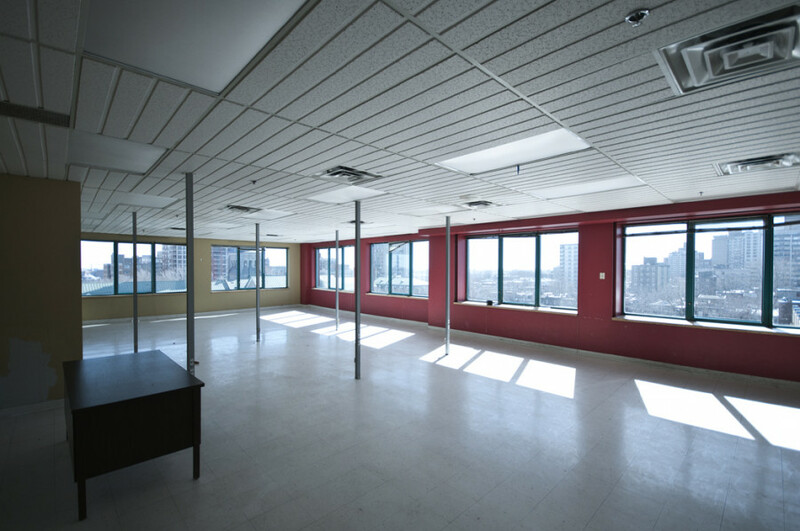 The space has large windows and “a privileged view” of the city, Magne told the council. “Once you’re there, it’s quite a spectacular space,” he said. But Magne conceded that “a major challenge” would be accessibility—an issue for several council members. Of particular concern was the fact that the faculty offices would not be wheelchair accessible, according to the plan presented by Magne. Another issue in the FG Building, like in the LB Building, would be space. Magne revealed that there would be little room for the department to grow on the fifth and sixth floors of the shopping complex. “It is possible that certain spaces will be slightly larger than the university norm, and certain spaces slightly smaller,” he said. Under the plan, the department’s observation nursery—which professor Nina Howe called “a major part of the teacher training program”—would take over the westernmost of two nearby, smaller buildings of the Grey Nuns annex, with an entrance on St. Mathieu St. A pedestrian lane and gated gardens separate this annex from the shopping complex. Associate professor Arpi Hamalian said she has taught in that building and didn’t feel safe leaving at night, mentioning she once witnessed drug dealers operating there. Furthermore, in addition to worries about sights and smells from the food court below, associate professor Ayaz Naseem asked about rodents. The administration did present the council with one other possible destination at the meeting, but this was met with even more negative responses from members. The university and the education department requested that the alternate location remain confidential until a decision is made. Council members asked for more time to make a decision, although Bolla said the longest he can wait for a response is two weeks. Hamalian says she is not happy with how the administration is going about the process of relocating the department. “I personally support the improvements to the library spaces at Concordia,” Hamalian wrote in an email to The Link. “But the administration should make efforts to find an adequate space alternative for the Department of Education. “We [in the department] do not understand why the university wants to move the department to the Faubourg—even with all the promised renovations the space is not ideal for a department of which the university should be proud,” Hamalian continued, citing a recent report by QS World University Rankings that placed Concordia’s education department in the top 100 worldwide. Education department chair Richard Schmid said that while the library expansion is justified, his greatest concern is that his department will suffer from “academic isolation” in the upper levels of the shopping complex. “Right now, you run into other people, you run into other faculty members all the time. So that flow of interaction, of happenstance, will not be there,” he said. Schmid also joked that the department could be renamed “the Dollarama School of Education” after the well-known chain of retail stores that has a branch in the building, although Bolla said that the store would not have its lease renewed once the university went ahead with its plan of purchasing the rest of the Faubourg. 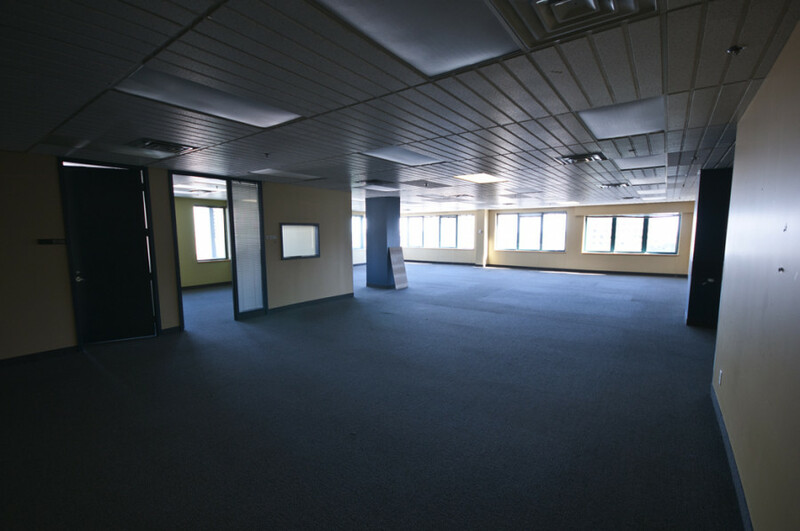 Not renewing Dollarama’s lease would potentially give the education department room to expand down to the fourth floor. Bolla called this a “medium-term plan” but refused to offer any concrete timeline. Connecting the Faubourg to the other buildings by underground tunnel is also a medium-term plan, he added. Meanwhile, the first phase of library renovations is slated to begin in January 2015. Work on the LB Building’s fifth floor is set to begin in March 2015, although Beaudry told The Link it would likely be closer to May of that year. Bolla said at the meeting that the education department would be moved around that time. According to Beaudry, the library is expected to remain open throughout the renovations, which should be completed by August 2017. Renovations to the Faubourg would cost around $10 million, Bolla said at the council meeting, while Beaudry said a preliminary budget for the library upgrade will likely be released when the university’s Board of Governors approves the plan in October. An earlier version of this story stated that the renovated library would have 3,300 study seats. The library will have 3,400 study seats. The Link regrets the error.